Ondine font family series mainly provide Regular and other font styles. Ondine™ font family series mainly provide Regular and other font styles. 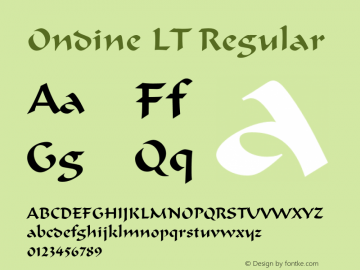 Ondine LT font family series mainly provide Regular and other font styles. 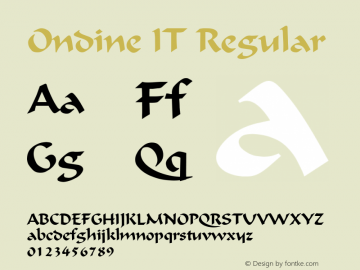 Ondine IT font family series mainly provide Regular and other font styles. 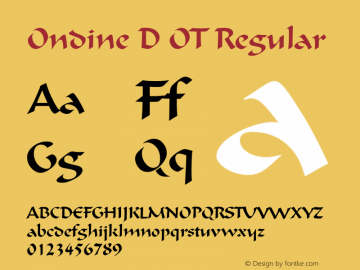 Ondine D OT font family series mainly provide Regular and other font styles. 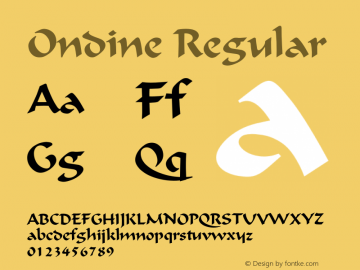 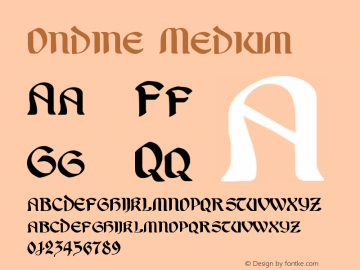 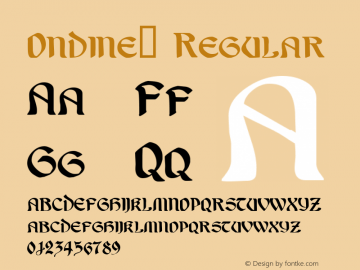 Ondine font family series mainly provide Regular,Roman and other font styles. 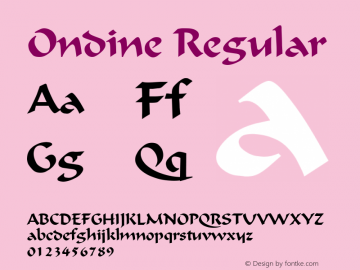 Ondine font family series mainly provide Regular,Medium and other font styles.